Hello, Street Department? I’d Like to report a pothole. 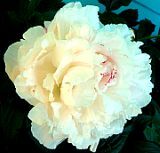 April 30, 2010 Posted by oldstersview | accident messes	| potholes | Comments Off on Hello, Street Department? 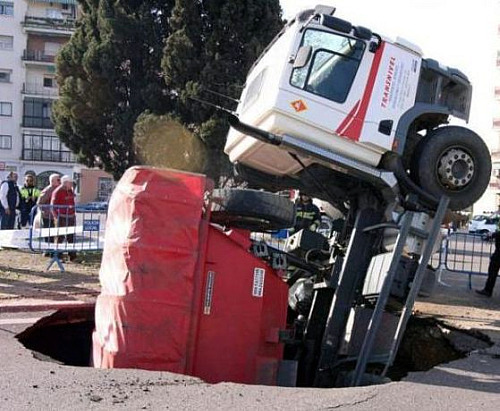 I’d Like to report a pothole. Cyclist Steve Wheen decided to plant cyclamen, narcissus and polyanthus in the holes after becoming fed up with the state of roads. 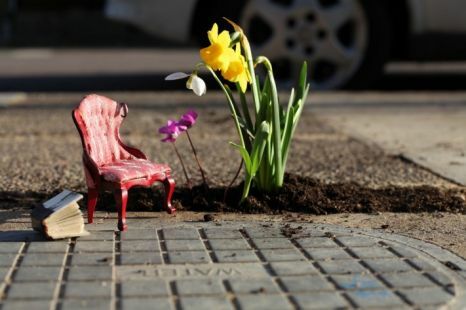 The 33-year-old’s green do-gooding is proving popular as his website – http://www.thepotholegardener.com – has had 25,000 hits in its first month. 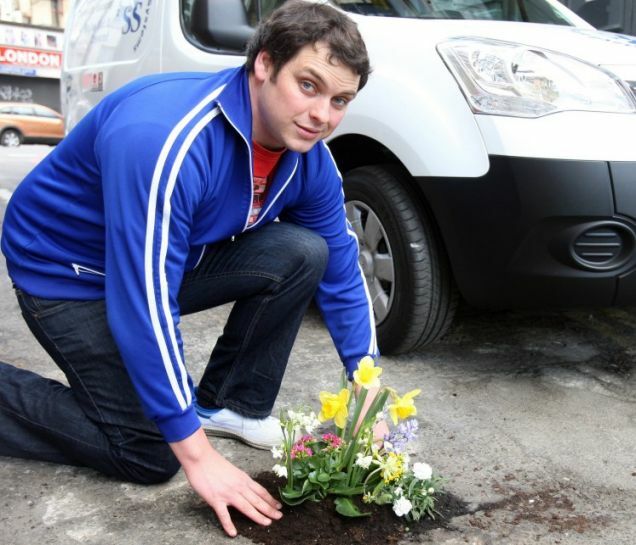 via Steve Wheen plants flowers in potholes | Metro.co.uk.